Volunteers hand out donated items to people in need at St. Mary's Church in Newburgh, NY on Friday, December 19, 2014. 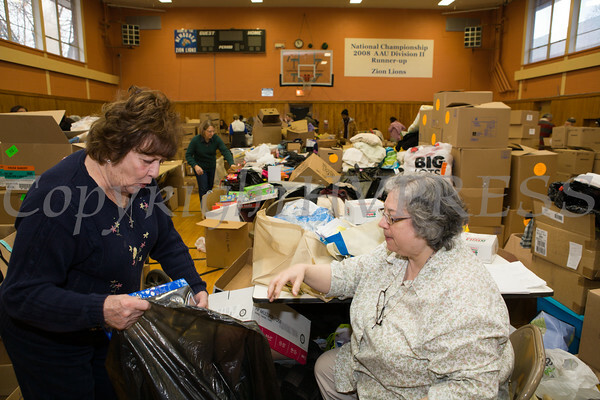 Lillian Bertero and Marietta Allen look over donated items to be given away to people in need at St. Mary's Church in Newburgh, NY on Friday, December 19, 2014. Hudson Valley Press/CHUCK STEWART, JR.